Parenting is a real challenge. Without any training or simple manual, young people are thrown into this huge responsibility. Today we are witnessing a parenting crisis. What are the essential ingredients of successful parenting? The mystics explain that the emotions that drive every relationship are divided into two primary forces- “Chesed” and “Gevurah. Chesed represents the power of giving, love and closeness. Gevura is the power of restraint, discipline, respect for space, assertiveness and being firm. All relationships need aspects of both. There is a time to give and time to hold back, a time to submit and a time to be assertive, a time to be flexible and a time to be strict. But in most relationships one side is more evident than the other. In marriage, love and Chesed are more visible, with elements of assertiveness and firmness (Gevurah) in the background to support the relationship. In the teacher – student relationship the primary goal is formal instruction. While a good teacher loves his students, the more visible power would be Gevurah, with an atmosphere of respect, appropriate boundaries and clear expectations. In parenting both must operate simultaneously in an intense and visible way. Parenting is a relationship driven equally by a combination of love and instruction. A parent must love a child and find ways to express and demonstrate that endearment. Parents and children enjoy each others closeness; have fun together generating an atmosphere of warmth and love. But a parent is also an instructor. A parent guides, instils values and teaches wrong from right. This is what makes parenting a unique relationship. More than any other relationship it requires careful planning and a very delicate, balanced approach. To achieve this balance one must follow the formula of the ‘Parenting package’. At the same time you must have strong– Gevurah. The combination and strong mix of these two extremes creates the appropriate environment where children can thrive on parental love while absorbing life’s lessons and instructions. This is not easy as most people are disposed either to Chesed or Gevura. But to parent effectively, reaching the goal of educating our children with the appropriate values, this delicate balance is critical. 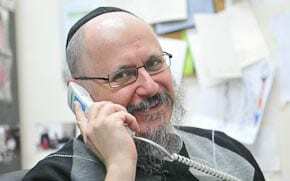 While I respect Rabbi Gourarie’s point of view, parenting skills have evolved over time and are considerably different in form, skills, attitudes, and emphasis than more authoritarian models. Take one such skill set known as Parent Effectiveness Training or PET for short. There are three main skills and an attitude to parental authority that tends to minimise it’s power and finality. The three skills comprise of a listening skill know as Active Listening, a non-judgemental assertiveness skill known as ‘I messages’, and a conflict resolution model based on an equality between parents and children using brain storming of solutions in a non-judgemental setting. A book called ‘Parent Effectiveness Training’ by Dr. Thomas Gordon Phd has gone through many editions as well as local courses that parents can go to. These skills are a sure way of nurturing in your child self-esteem, self-discipline, maturity, and independence. Even with these skills it has to be said that parenting is not an easy job, which requires a considerable adjustment and teamwork on the part of parents. This is the case for each child that arrives. However, this difficulty will be less onerous once these skills become second nature to any parent because daily issues will be managed with less conflict and some future problems for both children and parents are avoided entirely.